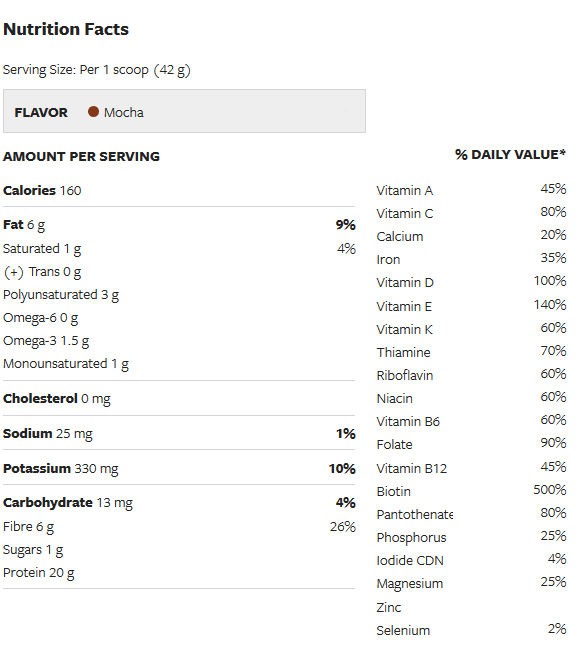 Vega is a great shake without the pronounceable ingredients found in other protein supplements. I am a big fan of the chocolate and even more so of the mocha! Give it a good blend with your fav ingredients and it is even better! For me 4 types of berries, banana, flax, chia, 1/2 water 1/2 almond milk, spinach, yogurt, and peanut butter! Product is great for my morning shake, great take and texture. Quick delivery. Love using this as a quick meal replacement in the morning for breakfast. And it tastes great! Awesome flavour - I don't get sick of it even after having it for breakfast every morning. It also keeps me full for 4 hours. Totally love this product. It tastes really good and it's healthy. Definitely a win-win. Using this since August on Zero Belly program. Lost 20 pounds and feeling great. Love the mocha flavour in a smoothie with banana, cocoa powder and natural peanut or almond butter. Yum. 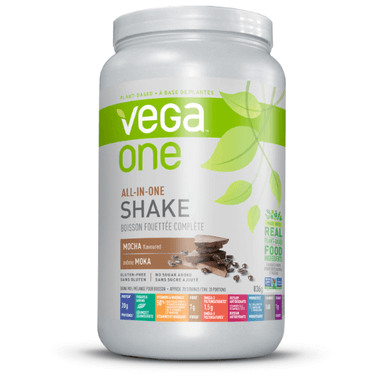 Love Vega One shakes... Mocha is my favorite. Been using this product for 2 years now with great results. I chose this brand because of the all natural ingredients... I am very sensitive to chemicals etc... so this brand agrees with me. You can add many things like flaxseed, yogurt, berries etc... I found my favorite blend. For the best tasting, make sure liquid is cold and mix well... I use the Ninja blender. Very happy with this product! This is my favourite protein powder. The flavour takes plain yogurt and turns it into a delicious pudding. Add fruit and nutmeg for a great meal. Do not like the taste of this product at all. However, like that nutritional value. Will buy a different flavour next time. Mixes easily with yogurt for a yummy pudding. Add some berries and nutmeg for an easy breakfast or dessert! Love this shake! I've been browsing for a shake that tastes good and this is it. Of course, you have to shake it a few times during consumption to keep it from settling, but it tastes great and is full of great nutrition! Love the taste! Mixes very well in water. Add one banana and some nutmeg. Yum! Keeps me full for hours. This makes a wonderful iced coffee. I blend it with Cashew milk and coffee ice cubes. This is probably my second favourite flavour of Vega One. Second to the Vanilla Chai. Needs repeated shaking or it very quickly collects at the bottom. Great mixed with a little coffee.